Jerzy Skolimowski is one of the most original Polish directors and one of only a handful who has gained genuine recognition abroad. This is the first monograph, written in English, to be devoted to his cinema. It covers Skolimowski's career from his early successes in Poland, such as Identification Marks: None and Barrier, through his émigré films, Deep End, Moonlighting and The Lightship, to his return to Poland where, in 2008, he made the internationally acclaimed Four Nights with Anna. Ewa Mazierska addresses the main features of Skolimowski's films, such as their affinity to autobiographism and surrealism, while discussing their characters, narratives, visual style, soundtracks, and the uses of literature. 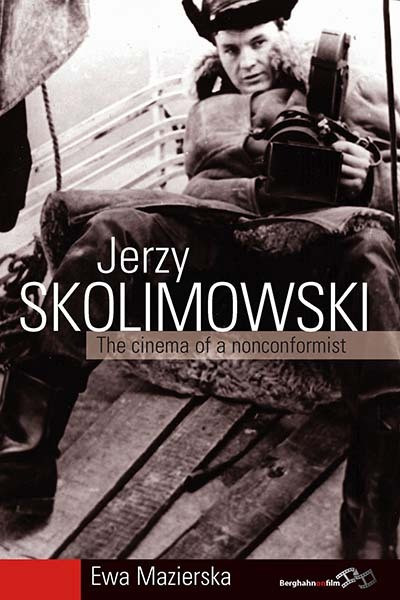 She draws on a wide range of cinematic and literary texts, situating Skolimowski's work within the context of Polish and world cinema, and drawing parallels between his work and that of two directors, with whom he tends to be compared, Roman Polański and Jean-Luc Godard. Ewa Mazierska is Professor of Contemporary Cinema, Department of Humanities, University of Central Lancashire. Her publications include Crossing New Europe: The European Road Movie (Wallflower Press, 2006), Dreams and Diaries: The Cinema of Nanni Moretti (Wallflower Press, 2004) and From Moscow to Madrid: Postmodern Cities, European Cinema (I.B. Tauris, 2003), all co-authored with Laura Rascaroli and Women in Polish Cinema (Berghahn Books, 2006), co-authored with Elżbieta Ostrowska.